Charlie Appleby revealed last week that his unbeaten colt Quorto would miss the 2000 Guineas at Newmarket in May having picked up a soft-tissue injury in Dubai where he was spending his winter. As a result, John Gosden’s brilliant unbeaten juvenile Too Darn Hot is now Even money at BetVictor to give the Newmarket handler a first win in the colts’ classic on the first Saturday in May. Gosden also houses the second favourite Calyx (8/1 at BetVictor) who has not been seen since the son of Kingman landed the Coventry Stakes at Royal Ascot in June. The ground had dried out to soft (good to soft in places) before racing at Chepstow yesterday and with another dry day forecast today conditions are likely to be dead and holding for today’s seven-race card back in south Wales. Fair Kate returns to the scene of her C&D third against the geldings on her penultimate start and many will be prepared to forgive a poor effort at Taunton last time when she was beaten before her stamina was tested, having been stepped up in trip. Free (2.50) makes her British debut for Anthony Honeyball having cost JP McManus E125,000 in November. The mare won a Chantilly Maiden on the level for Mme Christiane Head in a light campaign but is out of a 2m 2f Listed Hurdle winner and half-sister to six winners. The betting should be informative for this JP McManus’ owned mare although it should be noted that Barry Geraghty travels to Ludlow. Kingsplace finished second to Dickie Diver – fourth in the Albert Bartlett last week at Cheltenham – here last time and may improve for today’s additional half-mile. 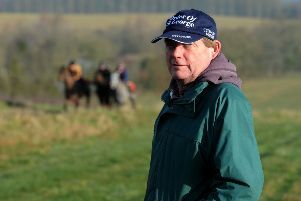 Nigel Twiston-Davies’s charge is likely to be a warm order, however, and I felt New Age Dawning (3.25) ran with considerable promise at Lingfield last time – winner has already followed up – and is taken to reward each way support for David Pipe. The selection is only five but shapes like a stayer and receives 7lbs from Deise Alba who folded tamely at Ascot last time and is certainly better than he showed on that occasion. A winning pointer, the Philip Hobbs-trained runner is another trying this near 3m trip for the first time having scored here on his rules debut (2m 3f) back in November. 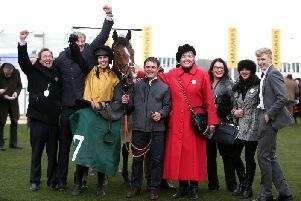 Charlie Mann has his team in rude health at present having landed an across-the card double on Tuesday and his representative in the 3m Handicap Chase The Lion Dancer returns from a near 12 month lay-off having won his last three in March/April 2018. As a seven-year-old he is open to significant improvement and a check of the market is advised. I feel there is more to come from top-weight Alberto’s Dream and the drying ground should suit Sandhurst Lad with Johnson taking over in the saddle, but I feel there might be more to come from Tzar Del L’Eife (4.00) who gets the each way vote for Richard Rowe. The selection finished runner up in an amateur rides’ event last time and regular pilot Andrew Glassonbury takes over today. One of the horses I am most looking forward to seeing run today is Sausilito Sunrise (5.40) who was last seen finishing down the field in the 2017 Cross-Country event at Cheltenham when trained by Philip Hobbs. The selection has joined the yard of Olly Murphy and has had his wind operated on ahead of his comeback. At Ludlow and the form of the second of Falco Blitz (2.30) at Warwick to One For Rosie last time has been franked by the excellent runs of the winner and third – My Way – in defeat of late and I feel Nicky Henderson’s five-year-old can go one better although a market move for French import Jatiluwih would be significant. There is a terrific 2m Handicap Chase and Ballyward (4.10) is taken to return to winning ways having finished second to Dingo Dollars in the Grade 2 Lightning Novices’ Chase last time. I wonder expect Alan King’s novice to be Aintree bound if he runs well this afternoon although he certainly won’t have things all his own way from a mark of 140. Beltor may have ‘bounced’ at Taunton last time and I think we will see him in a better light today, but he is unlikely to be able to concede 12lbs to Musical Slave (4.45) if the latter is in the same mood as when scoring at Market Rasen last Thursday. He has a 7lbs penalty to shoulder but he is 6lbs ‘well-in’ this afternoon having been raised 13lbs for last Thursday’s fluent win.